Workflow is often a best-kept secret within an organisation. This is because it works in the background and utilises tools that people are already familiar with, so most people do not even realise they are making use of these tools. For workflow tools to be effective, there must be reliable and robust manual processes in place. Workflow software optimises those processes by tightening up security and increasing productivity quickly and easily. There are some applications of workflow that are less obvious than others and we have decided to share some of our experiences with you in the hope that these may help you to build even more effective workflows into your business applications. 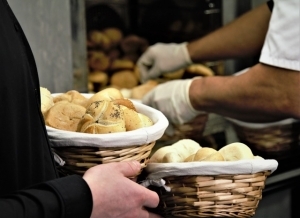 Not too long ago, we were working with a large company who made and distributed bread to large and small vendors. As per the agreement, these vendors would return any bread that was beyond its sell-by date. The expired bread would then be accounted for to be utilised elsewhere and balanced against the Request for Credit from the outlet. At some point in time it became apparent to management that drivers were returning to the stores with very little damaged or expired stock, however, the figures did not show any related increase. On further investigation, it was established that the manual process was at fault. You see, it was easy for the driver to claim to have ‘lost’ the return advice slip, or to change the written numbers. The driver was supplementing his income with the expired bread. Each day, the driver would collect the expired stock and stop, at various locations of poorer communities, en route back to the company stores to sell the bread and make a small profit. On establishing this, it was apparent that the process was in need of attention. Qualitas consultants stepped in to ensure that return notices could be scanned into the workflow system. This way, the vendor would submit the Request for Credit reflecting the amount of returned stock directly to the baker’s process via email so that the driver no longer had sight or responsibility for return advice notes. On return to the stores, the correct number of loaves were received into stock and any discrepancies had to be explained by the driver on the spot. This simple change was quick and easy to implement and had far-reaching benefits for the organisation. Stay tuned for more stories from the trenches, and if you have some stories of your own, please share in the comments below.